And there was another break on the blog; once again due to all the demands placed on the ChiliCult-ist. You want to have diverse and spicy food – and make the experience available to others – you have to get out of hibernation and get right into spring feelings. And activity. 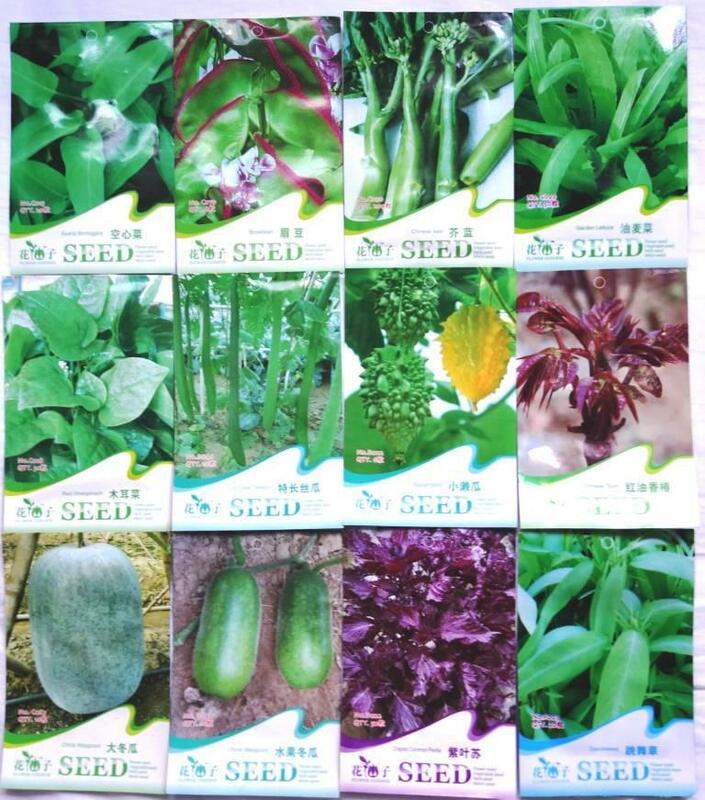 It was end of February, beginning of March, I was back in the country, it was high time to get seeds started. Or actually, many people would claim that it was too late. 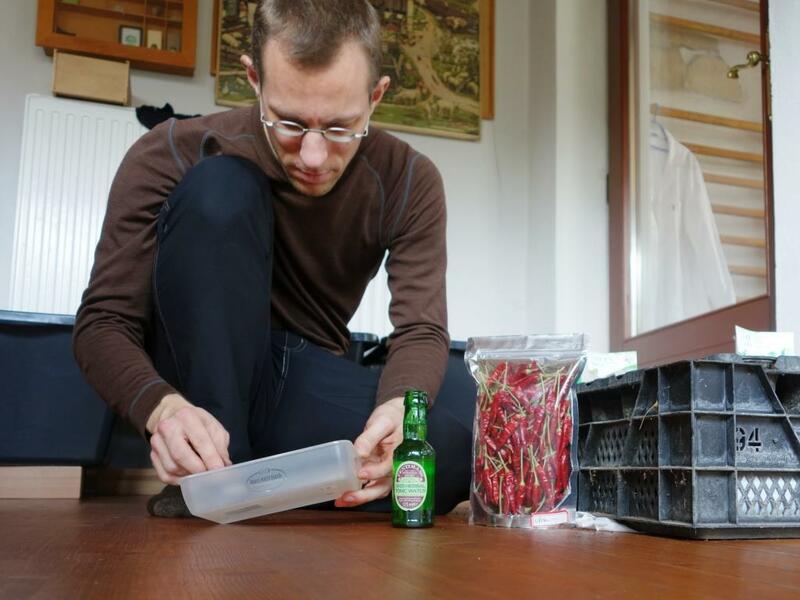 Many chilli growers recommend starting pepper seeds indoors, under grow lights, in January or even December. That, however, requires one to invest in all the necessary equipment, the room, the electricity it takes to run everything. For habaneros, I myself would also recommend that, if you want to get to a good harvest in good time. For most forms of chilli, however, such an early start isn’t truly necessary. Of course, chances are that you will have chilli sooner if you also started them sooner. Chances are also rather high that such an early start will give you plants that are so high-legged (because of the lack of light) that any wind they encounter once they get outdoors will be a big problem. So, you would have to invest not just in grow lights but also in fans to provide some artificial wind. Late-sown plants, meanwhile, tend to get out into the real world sooner in their life cycle and then often manage to catch up with, if not overtake, ones that were started earlier and got more of a shock when they were finally planted out. Of course, as always, it depends on what you want to do and what you can offer, on both the plants (varieties) and the conditions. Which is the issue about any and all plant growing. That leads straight to one of the main reasons I always take longer starting seeds than I perhaps should: I need to decide what I actually want to grow. Many people take the decision lightly; they just divide as many seeds as they have into as many pots as they manage to get. That has the added advantage of making it easy to brag with the large number of different varieties one is growing. If you want to use the space you have effectively and achieve a good harvest of select crops good for cooking or further culinary use, then you need to strike a balance between the number of varieties you plant and the number of plants you want to have in the end, however. 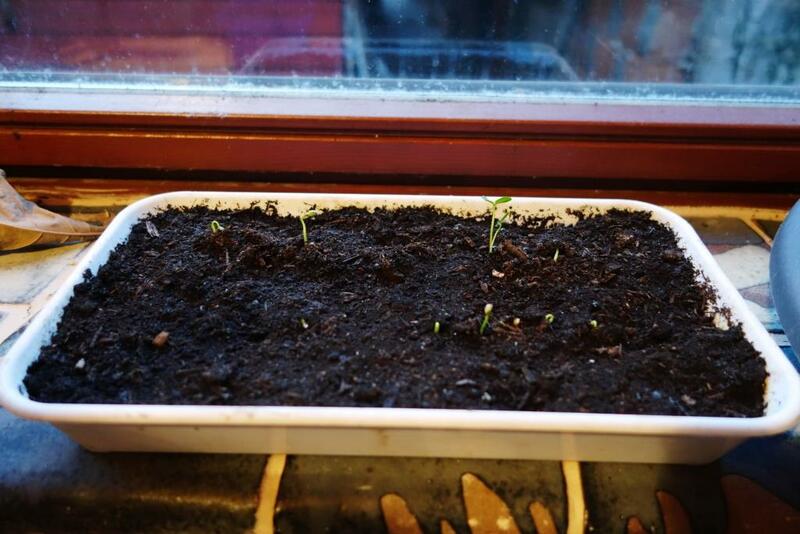 My first seed-starting of the year, thus, didn’t even start with chilli but with the seeds of vegetable and spice plants I had newly brought back from China, to check if they would even germinate and grow. One of this year’s attempts I’m very happy to see working out, so far: Propagating Sichuan pepper from seed. Finally, of course, there is the chilli for our own use, possible sale, and definite further breeding… which still makes for difficult choices. On the one hand, it would be just too easy to follow what customers want and just simply grow “the hottest” of chile peppers rather than disappoint people – but on the other hand, I don’t orient my growing on the simplest and uneducated of expectations. Rather, the guide is a good consideration of and experience with the right chilli for the intended uses. Anyways, a few things don’t germinate, a lot sprouts and grows – and I will once again be checking if the late start is actually giving better results than an (overly) early one. 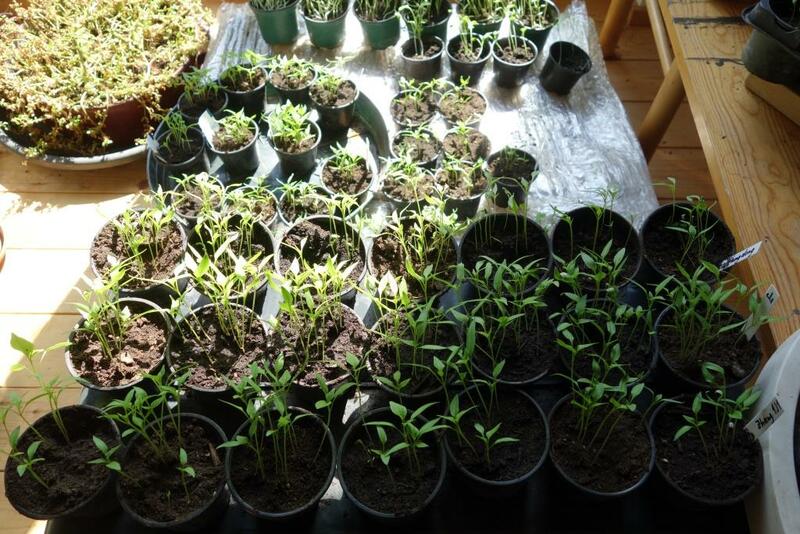 By now, it’s Easter time, a few (vegetable) seeds still need starting, a lot of the chilli is getting very ready for transplanting – and the traditional cold front of this time of year has just moved in again. But, at least not everything must go out already.